Most divorce settlements with spousal maintenance (alimony) contemplate that payments will be tax-deductible to the payor and taxable to the recipient. This tax choice can reduce the combined income tax when paid to a former spouse who has a lower income tax bracket, and thereby make possible divorce settlements that otherwise would not be financially viable. The idea is that the resulting lower taxes make more money available for everyone. Before finalizing a divorce agreement, it’s important to actually calculate the anticipated future taxes to ensure that the desired outcome can actually occur. Best guesses can easily turn out to be wrong; the only way to determine whether or not the tax savings occur is to run the calculations. It’s also important to verify that the proposed agreement does not run awry of some lesser-known tax traps that can create unpleasant surprises. U.S. tax law (the Internal Revenue Code) allows the tax benefit described above for “alimony” only. Transfers of property or child support cannot be deducted by one former spouse (or included as income by the other former spouse). In an attempt to prevent misuse of the tax benefits available for spousal maintenance, the Code includes several devices to try to “sniff out” payments to former spouses that are not for that spouse’s support—and can result in the disallowance of the deduction, or trigger tax on alimony payments previously deducted. 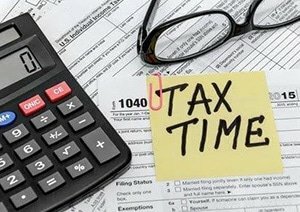 When spousal maintenance decreases by more than $15,000 over the first 3 calendar years, any excess is “recaptured” and taxed in the third year. The theory is that spousal maintenance that decreases by over $15,000 is actually a disguised property division that should not be tax-deductible. Alimony/spousal maintenance that ends within 6 months of a child turning age 18 or 21 (and any other local age of majority), will be presumed to be disguised child support. It will not be tax-deductible to the payor or included in income of the recipient. Alimony/spousal maintenance that is contingent on something happening with a child will be presumed to be child support for tax purposes. Examples include a child turning a certain age, earning a certain amount of income, leaving school, dying, etc. If you have two or more children, spousal maintenance that decreases more than once and each time within one year of a child reaching the same age as a reduction that occurred within one year of another child reaching that age, will be presumed to be child support, if it occurs between ages 18 and 24. Divorce presents both tax planning opportunities, and also tax traps. Taking advantage of the opportunities can be enormously helpful at a time when funds may be tight. Stepping into tax traps can derail the best of intentions. One way to limit your risk is to work with a divorce lawyer or mediator who is skilled in tax. If your divorce lawyer or mediator does not have that skill, then he/she should work with another professional who can provide expertise to help you avoid the traps.